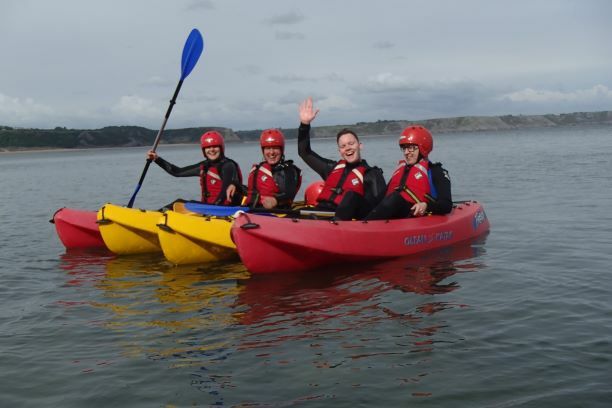 Enjoy a couple of hours with qualified instructors, in Oxwich Bay exploring some of the beautiful coastline. Please bring nylon T-shirt or rash vests, trainers or shoes to wear in kayak that will get wet, towel and any personal medication. We will provide buoyancy aid, helmet, canoeing cags, wetsuit, dry bag. This activity is covered by Gower Adventures Insurance.